In Florida, What’s the Difference Between Murder and Manslaughter? The terms “murder” and “manslaughter” are often used incorrectly because it is sometimes hard for people to see the difference between these two crimes that both involve an unlawful killing. However, there is an important difference in that manslaughter is committed without malice aforethought and is therefore thought to involve less moral blame than murder, which is a killing committed with malice aforethought. In order to further illustrate the differences between murder and manslaughter, the various degrees of murder and manslaughter that are recognized as crimes in Florida are outlined below. Premeditated Killing. A premeditated killing is an unlawful killing that is done willfully and with premeditation (i.e. the killing was carried out after some sort of planning and was done with a specific intent to kill). Felony Murder. 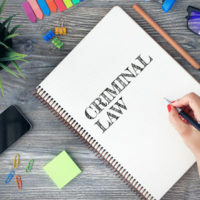 Felony murder occurs when someone is killed during the commission (or attempted commission) of a felony listed under section 782.04 of the Florida Statutes. Homicides Committed During Specified Drug Dealing Offenses. Under some limited circumstances, a drug dealer or distributor in Florida may be charged with first degree murder if someone whom they supplied drugs to overdoses and dies. Second Degree Murder: Second degree murder in Florida involves an unlawful intentional killing that lacks the premeditation requirement of first degree murder. In order to be convicted of second degree murder in Florida it must be shown that the accused acted with a depraved mind and without regard for human life. Voluntary Manslaughter: Voluntary manslaughter involves an unlawful intentional killing that society considers to be less morally blameworthy than murder because the killer was provoked in some way and committed the killing out of an emotional response in the heat of passion. Involuntary Manslaughter: In order to be convicted of involuntary manslaughter in Florida an offender only has to have acted with culpable negligence (aka a disregard for human life while engaging in wanton or reckless behavior) that resulted in someone else’s death. DUI Manslaughter: DUI manslaughter occurs in Florida when a person who is under the influence of alcohol or a controlled substance cases the death of another person, either directly or indirectly. Despite the fact that DUI manslaughter is the least serious form of criminal homicide in Florida, it is still an extremely serious crime that constitutes a second degree felony punishable by up to 15 years in prison. If you have been charged with a homicide crime in Florida, or believe that you soon will be, contact the Mander Law Group today. Our Dade City criminal defense lawyers have years of experience vigorously defending clients charged with both murder and manslaughter and we would be happy to put our expertise to work for you. Never assume that you can’t win. Set up a free and confidential consultation with the Mander Law Group now by calling (800) 557-0411.